Located in the Phoenix area of Arizona, Lake Pleasant Park offers 148 sites for RV and tent camping, boat rentals and fishing. If you’re planning a trip to Lake Pleasant Park, let Via Trailways help you get there! We want your trip to be as stress-free as possible so you can focus on having a relaxing and fun-filled time. You don’t worry about having to find a spot to park your car or leave your car overnight. 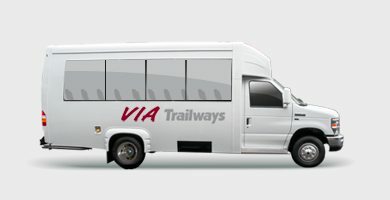 When travelling with Via you’ll be able to relax in one of our comfortable, secure charter buses after a long day of outdoor activities. Explore over 4 miles of hiking trails. Enjoy an afternoon of fishing on the lake. Plan an evening of stargazing while learning about the moon and galaxies.